Advanced flash and ssd data recovery training course by Dolphin Data Lab is one complete 5 days long training courses on flash drives, jump drives, Solid state drives and PCB repair. SSD data recovery training is part of this advanced flash recovery training courses. This advanced training course is also the stage 3 data recovery training course and this one requires even more data recovery experience for high-success-rate and comprehensive flash and ssd data recovery cases, especially SSD data recovery cases. Nowadays, different flash including ssd manufacturers are adopting new data storage technologies, changing their new designs and it becomes more difficult to use some traditional flash recovery technologies like replacing controllers, flash raw data recovery or use some simple flash recovery programs or tools. For SSD data recovery, the options of tools and technologies are especially limited. SSD’s are, especially in laptops or tablets, and increasingly in desktops as well, becoming more and more commonly deployed as the only mass data storage device in computer systems. As the level of implementation rises and the population of units increases, the need for data recovery is arising in tandem. Even though SSDs have zero moving mechanical parts to wear out by virtue of 100% construction from solid state electronic components, they are, counterintuitively, subject to wear! People may all know that SSDs can be more reliable than hard drives otherwise data recovery market can be much bigger but at the same time we can also see the hard drive failure rates is much higher. However recently situation begins to change. 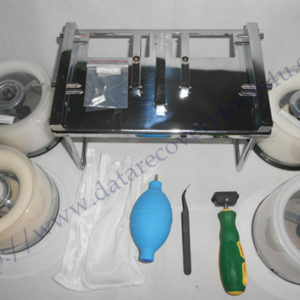 Data Recovery Companies receive more ssd data recovery cases and other NAND flash recovery cases. This means the failure rate is becoming higher. SSDs are susceptible to heat, just like any other electronics and to bad power.For heat, rule of thumb is half the lifetime every 10C for semiconductors and this works pretty well. 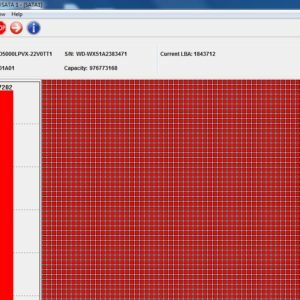 SSD failures can be also caused by ineffective flash wear leveling, etc. Besides, The NAND memory chips in which your data is stored actually have a limited life-cycle. Within our flash and ssd training class, it is designed around the tool from one professional flash data recovery tools manufacturer. It’s suggested each student who wants to attend this class and learn flash recovery bring his tool with them to class. We will have 2 tools ready for the class but it is better if your student has his own. This way the student can set up his computer in class and get it configure for dumps and also DB inside the program. Each student should have a laptop to work with. We will have solder stations, hot air station in the class for them to use in removing chips. You may wish to bring some SSD, flash, and PCB of your own to class to work on. This is fine and is recommended if you need to recover these items. During the class the professor will have a few dumps for the students to work on. As you know it takes some time to dump certain chips and in this class we might not have time to do all this and teach them how to reassemble the dumps and extract data off of them. But each student will have completely hands on training in this. he will learn how to mount his chips to the tool, use the tool to extract the dumps, and also how to reassemble them and get off data. He will work only on these drives to understand how the flash recovery work. Also during this class there is time spent on repairing the drives if it is possible. The last day of the class is spent on PCB repair and how to fix a PCB. If you are interested in this advanced flash and SSD data recovery training, please feel free to contact us by sales[@]dolphindatalab.com.